"Sri Krishna, the Personality of Godhead, who is the Paramatma [Supersoul] in everyone’s heart and the benefactor of the truthful devotee, cleanses desire for material enjoyment from the heart of the devotee who has developed the urge to hear His messages, which are in themselves virtuous when properly heard and chanted." [Of the innumerable collections of spiritual teachings found in Vedic literature, Srimad-Bhagavatam is considered the topmost. Vedic literature is sometimes said to be a “desire tree,” a tree that can yield whatever one might desire, and of that tree the Srimad-Bhagavatam is said to be the ripe and most relishable fruit. Sri Krishna, the Personality of Godhead, who is the Paramatma [Supersoul] in everyone’s heart and the benefactor of the truthful devotee, cleanses desire for material enjoyment from the heart of the devotee who has developed the urge to hear His messages, which are in themselves virtuous when properly heard and chanted. Messages of the Personality of Godhead, Sri Krishna, are nondifferent from Him. Whenever, therefore, offenseless hearing and glorification of God are undertaken, it is to be understood that Lord Krishna is present there in the form of transcendental sound, which is as powerful as the Lord personally. Sri Caitanya Mahaprabhu, in His Siksastaka, declares clearly that the holy name of the Lord has all the potencies of the Lord and that He has endowed His innumerable names with the same potency. There is no rigid fixture of time, and anyone can chant the holy name with attention and reverence at his convenience. The Lord is so kind to us that He can be present before us personally in the form of transcendental sound, but unfortunately we have no taste for hearing and glorifying the Lord’s name and activities. We have already discussed developing a taste for hearing and chanting the holy sound. It is done through the medium of service to the pure devotee of the Lord. The Lord is reciprocally respondent to His devotees. When He sees that a devotee is completely sincere in getting admittance to the transcendental service of the Lord and has thus become eager to hear about Him, the Lord acts from within the devotee in such a way that the devotee may easily go back to Him. The Lord is more anxious to take us back into His kingdom than we can desire. Most of us do not desire at all to go back to Godhead. Only a very few men want to go back to Godhead. But anyone who desires to go back to Godhead, Sri Krishna helps in all respects. One cannot enter into the kingdom of God unless one is perfectly cleared of all sins. The material sins are products of our desires to lord it over material nature. It is very difficult to get rid of such desires. Women and wealth are very difficult problems for the devotee making progress on the path back to Godhead. Many stalwarts in the devotional line fell victim to these allurements and thus retreated from the path of liberation. But when one is helped by the Lord Himself, the whole process becomes as easy as anything by the divine grace of the Lord. To become restless in the contact of women and wealth is not an astonishment, because every living being is associated with such things from remote time, practically immemorial, and it takes time to recover from this foreign nature. But if one is engaged in hearing the glories of the Lord, gradually he realizes his real position. By the grace of God such a devotee gets sufficient strength to defend himself from the state of disturbances, and gradually all disturbing elements are eliminated from his mind. 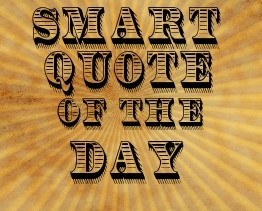 Have a Smart Quote you'd like to share? Contact us.